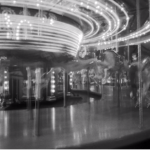 Nancy Breslin, who we interviewed here awhile back, has created a great short about pinhole photography. Nick Dvoracek, creator of the popular tutorial for making a 35mm pinhole camera, The Populist, shares the material with Without Lenses. Available here in HTML, the full step-by-step instructions for making this camera. 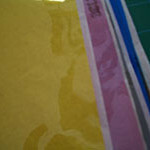 Matching an appropriately sized pinhole to a particular camera’s focal distance will yield the best, “sharpest” image. This tutorial shows how to easily make your own pinholes that are fairly accurate in size and shape. 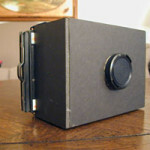 Take that first step to making pinhole images! Earl Johnson guides us through step-by-step instructions to make the simplest, easy to use, pinhole camera from black foam-core board and tape.